Kiran Saldanha is a Consultant Orthopaedic Surgeon at Whiston and St Helens Hospitals. He has been employed in the NHS since 2001. 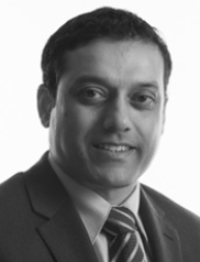 He trained in Orthopaedics in the Mersey region and completed a fellowship in Limb Reconstruction in Sheffield. He is a lower limb Orthopaedic Surgeon managing problems arising from arthritis, sports injuries and foot deformities. He provides comprehensive service for limb trauma and reconstruction working closely with the Plastic Surgeons from the Mersey Regional Plastic Surgery Unit. Limb reconstruction for deformities, bone infections and fracture non union. Lower limb surgery including hip, knee, foot and ankle.